Six observations about Scottish society, a year on from the referendum. Scottish public life has dramatically changed in recent times – the SNP 2011 first landslide, the independence referendum, and the 2015 tartan tsunami. Yet Scotland, like everywhere, is about more than politics. In this and other areas there have been huge changes, but also continuity and conservatism, the balance of which we are still trying to make sense of, and with huge consequences for the future of Scotland and the UK. Take the indyref. It didn’t come from nowhere. It came in the context of wider change in Scotland – of the decline of the traditional establishment and the old unionist order, and of the potent culture of deference, authority and of people knowing their place which for so long hung over large aspects of society. The indyref changed many things. But it has become a well-worn cliché to say it has changed everything. What it has done is act simultaneously as a spike, watershed and a catalyst to further change in public life. It will take years to establish the balance between these different forces and, nearly a year after the vote, the pattern of these different dynamics and their impact is still evolving. Post-indyref – after the dramatic explosion that amounted to a ‘Big Bang’ – there is now an element of stasis, retrenchment, and across much of public life, a mixture of an impasse and passing time waiting for something to turn up: usually meaning the next Scottish Parliament elections, and for some the second indyref. There is a passivity, and even blockage, in this for all the noise. How can we accurately describe Scotland today? One year after the indyref what are the contours and characteristics of public life? First, the SNP is obviously ascendant. There is a powerful Nationalist hegemony which has replaced Labour as the party of power in most walks of life beyond a few enclaves of local government in the West of Scotland. Significant elements of civil society have gone from being props of the Labour extended state, to without any real change of heart, moving seamlessly over to the Nationalists. The purpose of the new found SNP dominance is two-fold. First, to maintain and strength this state of affairs, and second, to prepare the conditions for making it more likely to win a second indyref in the near-future. This brings us to one of the central paradoxes of the present. Despite everything - the rhetoric, the appeal of the SNP and the weakness of pro-union forces - there is no substantive work going on to improve and put detail on a future independence offer. Instead, what there is at present is an element of wish-fulfillment, positioning and even in some places, bluster. For once, Alex Salmond and Jim Sillars seem to be united on the fundamentals: Salmond calling another referendum ‘inevitable’, while Sillars wants one as soon as is humanly possible. What inhabits parts of Scottish public life in this summer of 2015 is a very different set of impulses: a desire to continue punishing the Labour Party for its sins, how to express anger against the bias of the BBC in the indyref and make them pay for this, and numerous other low-level conflicts such as the long running saga between Alex Salmond and Nick Robinson, previously BBC Political Editor. Whatever your view on any of these – for or against – they look suspiciously like displacement activities. They are easy and obvious targets for those so minded, and more simple than assessing why the indyref was won for the forces of the union, or getting down to more serious, long term political activities. Much easier and attractive to continue to seek revenge against the Labour Party and BBC. This isn’t exactly the embodiment of the best of the democratic spirit of the indyref, and masks the exact opposite: an age of conformity and anger which hides a strange noisy passivity: of waiting for the next wave of change to come along after the SNP win in 2016, which begs the question: then what? A major ingredient in this is the current state of the public sphere – namely – the arena of public life where social interaction and discourse takes place. To Jürgen Habermas this is where the very notion of what it is to be ‘public’ is made, in opposition to ‘the private’ (interests, goods) and where ‘the common’ is created. The public sphere of Scotland is distinctive, partially autonomous, and saturated with cross-border and transnational media operations, as well as cross-fertilised by the British public sphere (which on many occasions means London public sphere), UK politics and media and communications. The Scottish newspaper industry is in dramatic long-term decline – and has now been since the turn of the century. In the past week Newsquest, owners of the Herald, Sunday Herald and Evening Times made yet another round of redundancies reducing their papers’ appeal and future prospects; The Scotsman long ago become a pale imitation of the once confident Edinburgh paper it was. The main broadcasters, BBC and STV, face huge pressures and constraints, from the political, to commercial, technological and demographic factors. The BBC (which I will return to in a forthcoming piece), for example, in Scotland (along with Wales and Northern Ireland) is seen as a disposable negotiating point by BBC London top brass. BBC Director General Tony Hall, it was recently revealed, stated to the Tory Government that they would have no alternative than to shut BBC Radio Scotland along with BBC Wales and Northern Ireland, all local radio stations, and BBC2 and BBC4, as a result of paying entirely for the costs of the over-75s licence fee (1). Such a revelation shows the running scared nature of those at the top of the Corporation, and how little they understand or care about Scotland, Wales or Northern Ireland and ultimately, the very fabric of the UK. This is a leadership of cultural bankruptcy and political defeatism which beggars belief and doesn’t augur well for the BBC’s future. This decline has not yet led to a transition to a new culture. The emergence of social media has not adequately replaced the role of traditional media. An example of this was when the Daily Telegraph ran their ‘story’ on the Nicola Sturgeon-French Counsel memo – which was alleged to have recorded that Sturgeon had said, in opposition to her public pronouncements, how she preferred post-2015 election, a Tory Government. It took Severin Carrell, the Guardian’s Scotland correspondent to do the journalistic thing of checking with the relevant parties. As a result, he quickly refuted and undermined the entire Daily Telegraph story. This while twitter and social media was alive with claim and counter-claim (2). Traditional media can have its uses. There is the place of ‘the third Scotland’ – the self-organising, pro-independence groups which emerged in the indyref. Some have adapted subsequently: Women for Independence and the Radical Independence Campaign being two examples. But others haven’t, either closing or not living up to their potential at least for now – National Collective and Commonweal being good examples here. A year ago at this time, the air was filled with radical rhetoric and left (and left-nationalist, as well as straightforward nationalist) boosterism – about how this or that group were going to make the new zeitgeist and become the new insiders. Now a number of the same people have either gone away and given up, joined some of the elites such as the SNP, or bemoan the direction and agenda of the SNP under Nicola Sturgeon. Last year the SNP and the wider self-government movement were two distinct, if over-lapping entities. Now they have become much more synonymous with a future threat to the independence cause: namely, what happens when the SNP’s appeal begins to fade as all parties do (3)? Where will the ‘third Scotland’ be then? Perhaps this overstates the change. There was over-optimism last year, and over-pessimism in places now. This veering from one set of hyped up hopes to resignation over-plays the scale of change last year on the eve of the indyref, and similarly, shifts too far in the opposite direction this year. The spirit of 2014 pre-indyref always had an element of wish-fulfillment and sort of Pot Noodle radicalism: just add water, and hey presto, you can have your own Nordic designed Scottish social democracy. The over-statement and inflated hopes of then, don’t mean we have to deflate hopes of change now, but instead recalibrate how we think and do such things. One of the biggest issues is that of over-simplifying change – into an old/new Scotland dichotomy. This states as all old/new paradigms do that once we lived in an age of darkness, simplicity and ignorance, and now we live in light, liberation and complexity. This has been done so many times people should be aware of what it is about: whether it be the Old/New Labour distinction or Old/New Glasgow it is always about the new caricaturing the past to discredit it and over-state the change, all in the name of rebranding and reinvention. The same is true of the Old/New Scotland. Scotland has, anyone would concede, changed in all sorts of ways. But this clearly isn’t a Year Zero moment. There are lots of continuity between past and present. For example, Scotland once had a Labour hegemony, now it has SNP dominance. The two have some striking similarities. They are both ‘Big Tents’ in political appeal, which have had a distinct centre-left agenda, combined with being quite conservative on a range of issues, and advocating social justice. Neither has on the evidence advanced either redistribution of power within Scotland, or to those most in need, for all the rhetoric saying otherwise. Neither have been in action and deeds radical beyond the illusion to the distant promised land: ‘socialism’ for Labour in its early days, ‘independence’ for the SNP, with both conspicuously undefined. Large parts of Scotland have played along with this dance. It took until the New Labour era for sections of Scotland to realise that for all the talk the party was the epitome of the political establishment and a cartel party. Now the same is happening with the SNP. Iain Macwhirter has called the SNP ‘left-wing’, compared the SNP and Jeremy Corbyn agendas, calling them ‘similar’, and in discussion on this, commented that: ‘We’re talking about what the[y] stand for not what they do. Look at SNP 2015 manifesto’, with Alex Massie retorting, ‘Perhaps it would be more useful to talk about what a party of government actually does?’ (4). Scotland’s public life and public sphere haven’t changed as much as some claim. In my academic study of the public sphere in Scotland, ‘Independence of the Scottish Mind’ (5), I examined the evolution, location and pressures on the public sphere. It has been situated in a culture of what I called ‘unspace’ and ‘undemocracy’ – with deep historical roots, a partial and negotiated autonomy and distinctiveness, and significant influence from outwith it – in particular from the rest of the UK (and London especially). The world of ‘unspace’ and ‘undemocracy’ is familiar to anyone who has lived in Scotland. It represents the priority, authority and entitlement of ‘official’ voices and perspectives, a built-in bias to a narrow bandwidth and groupthink, and a lack of alternative, dissenting voices (this does not of course preclude individual exceptions to this rule; there are always counter-tendencies to any set of orthodoxies). The only sectors in society who are unfamiliar with this state are those deeply embedded and orientated towards elite and insider groups: whether in politics, business or civic life. This culture’s grip has been weakened by how Scotland has evolved, including over the indyref, but it is still there. Institutional power still exists. There is the legacy and expectation of prominent, privileged interests, a propensity to groupthink, the tradition of one party dominance which pre-devolution was about how a ‘Scottish lobby’ gathered its forces vis-à-vis Westminster and Whitehall, and a lack of pluralism and diversity in public life. There has been movement in all this, which should be welcomed, but the walls of orthodoxy haven’t crumbled yet, and are still standing. The scale of change shouldn’t be caricatured in the old/new divide. It takes years to change a culture, and part of ‘unspace’ and ‘undemocracy’ is about elite and class power, part about a sort of internal colonialism (not in the Michael Hechter sense (6)), by which people have internalised the constraints and compromises of public life (BBC Scotland being a good example here with many skilled, committed journalists and staff who feel restrained and restricted). 5. Where are we after the indyref? This is the Scotland post-indyref. There is for all the energy, hope and engagement of last year, an absence of substantive debate, a tangible feeling of conformity, and a lack of independent perspectives and dissent. There is a stasis in much of politics and public life, an absence of in-depth research and thinking, and critically, a lack of resources for developing these kind of resources – whether in NGOs, trade unions, churches and think tanks. This could even be described as where civil society has got to after ‘civic Scotland’ – that 1980s term for polite society respectable rebellion. What do we do individually and collectively in such a situation? To some it is enough to support one political party, usually the SNP, and in other cases, one of the other pro-independence parties. Others take succor that all of this can be put up with this side of independence, and real change happens post-union. First of all, we have to understand where we are. This entails recognising the limits of radical and left Scotland rather than buying the myth and mythology that we have always been this romantic, restless nation. Scotland has never been, despite it often being said, a socialist country or ever had a majority socialist vote. The only way to arrive at such an outlandish claim is by counting the entire Labour vote as ‘socialist’ – and as if by magic 1945 and 1966 can then metamorphosis into majority left votes (by adding it to the Communist and ILP votes in 1945 and former in 1966 (7)). But that is pushing at it considering the nature of the Labour vote and coalition. Radical democrats and dissenters have always historically been at the margins of society and politics in Scotland. This has been aided by the sequential dominance of one party over significant periods of time: the Liberals in the 19th century, the Labour Party in the second half of the 20th century, and now, the SNP in the early part of the 21st century. This pattern is about more than one single party’s characteristics and the rise of the constitutional question. The establishment this week of the new left party – RISE – which stands for Respect, Independence, Socialism and Environmentalism (and with no connection to George Galloway’s ill-fated Respect) is a positive development (8). The party, coming from the impetus of the Radical Independence Campaign, will have an uphill struggle initially making an impact in the 2016 Scottish Parliament elections. It is a serious, strategic enterprise, and one which post-2016 could differentiate itself from the narrow menu of the established parties (Scottish Greens exempted). They could aid a debate which tackles real progressive concerns. This would include not just an economically viable version of independence, but one which is an alternative economic vision to the market orthodoxies of our age, tackle education and health inequalities, how working class children are being hurt by a range of actions including college cuts and more, and how not all of this is the fault of Tory austerity. Or the union. Some of it is about home grown choices. There is the absence of policy informed debates. Moreover, while ‘evidence based policy’ as a panacea is a chimera, evidence free policy seems to occur too often in too many Scottish debates. The lack of any serious redistribution to those in need and poverty over sixteen years of devolution has to be addressed. The council tax freeze, no student tuition fees, free care for the elderly, no prescription charges are frequently cited as proof of Scotland’s social democracy, and redistributive intent, but they redistribute to those on above average incomes. The recent decision by IPPR to establish an IPPR Scotland is, considering its profile and impact as one of the UK’s most influential centre-left think tanks, in this context, significant. Neither of these developments on their own alter things. What is required is nourishing a culture and ecology of self-determination, whereby numerous initiatives, bodies and organisations emerge that are focused on a different Scotland, politics and public sphere. Many of us thought this was beginning to emerge in the indyref campaign, but this can now in retrospect be seen as a first wave of self-determination – one of experimentation, grass roots and citizens’ initiatives, and of a fluidity, hybridity and adaptability which went with the spirit of the moment: with people doing things at sometimes great cost to themselves financially or time wise for the greater good. This is a different environment. What is required now is to learn and adapt from all of this and develop a second wave of self-determination. This would entail understanding the lack of permanence of many of the initiatives of the indyref, the limits as well as the upside of activist based politics, the unsustainability in the long run of crowdsourcing as a model for setting up un the long term bodies, and the perennial problem of left-nationalist boosterism and believing the hype of your own rhetoric. Rule one for any campaigners as Public Enemy once warned is: Don’t Believe the Hype! This is in short about a culture, ecology and infrastructure for self-determination. - Developing resources and funding which support the above and which give sustenance to a wider culture which includes detailed public policy research – one which includes depth and reflection – as well as the big picture. An important element of this is giving shape to what a culture of self-determination actually is, and in what way it is different from focusing narrowly on self-government or independence. Self-determination is about individuals, communities and societies and shifting power and permission; self-government is a narrow political project, and too often the SNP have described independence as being about ‘the full powers of a Parliament’: i.e. : not about 99.9% of Scotland, but a political class change. Some of this undoubtedly began in the first wave, but we have to dig deeper, be bolder, braver, and more radical; listen more to those we disagree with, empathise and not just label those with differing positions; and be less tribal, partisan and hectoring. There isn’t a route from the politics of 45% for independence by invoking ‘the 45%’, telling the 55% they were hoodwinked, conned or even worse, victims of false consciousness. An independence majority that is overwhelming and emphatic only comes from understanding the 55%: their hopes and fears, their attachment to Britain, and the risks they didn’t want to take with an independent Scotland. There is no future in a closed tribe Scotland of the 45% thinking it can browbeat its way to a narrow majority. What kind of society would that be? Not a very attractive one, and not one placed for the challenges of the 21st century. Central to this is embracing detail, critique and scrutiny. It is now, for example, seldom commented upon that the Scottish Parliament has become a bit of an empty shell – with political power sitting elsewhere – namely, the Scottish Government. This has accentuated under the SNP with a parliamentary majority since 2011, but goes beyond this. For all the hope of ‘new politics’ under devolution, political power post-devolution never sat in the Parliament, instead being situated in the dense array of networks and elites which have administered society for years. These have been barely more than ruffled by the experience of devolution, and the Scottish Government coming from the nexus of the Scottish Office situated in this set of relationships has been well placed to continue things as they were before. 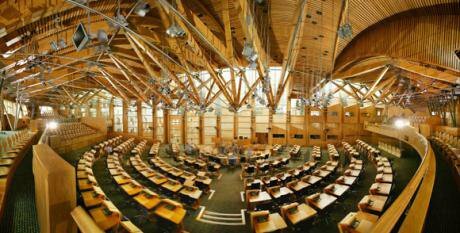 The Scottish Parliament has been the new kid on the block and upstart, and has sadly yet to find its proper place. The tasks of the next five to ten years are to nurture the second wave of self-determination, hold power to account, create different centres of ideas and change, and make real the process which has barely begun – namely, to democratise Scotland. Even more fundamentally, it would be about doing change differently and embracing an open tribe kind of politics and society. Too much of current Scottish politics resembles the old Labour conceits with a fresh coat of paint on them. Many in the SNP seem content with the notion of capturing political power and using the undemocratic institutions of public life to affect change. This has an uncanny resemblance to how Labour has historically done its politics across Britain: wanting to capture the British state and all its assorted non-democratic bodies for the greater public good irrespective of the public’s views. It did not work for Labour in the past, and it certainly will not work for the SNP today. An independence of the Scottish mind is about a different Scotland – a society which isn’t just formally self-governing – but which does things differently, talks and thinks about itself different, doesn’t treat some of its citizens as other, which looks after those who are in most need and most vulnerable – and also understands the need to shift power, voice and the boundaries which differentiate us. And that in so doing we have to be wary of the allure of abstracts not connected to practice: whether it is anti-austerity politics or allusions to ‘the sovereignty of the people’ and ‘popular sovereignty’ without ever scrutinising the domestic democratic deficit built over decades by Scottish elites and institutions. Lots of this will not be easy, much of it will not be predictable, but instead, messy, contradictory and challenging. But that is the world of the 21st century, the state of the global economy from the eurozone to the Shanghai Stock Exchange and the Scotland of the future. We are already in a transition from the highly ordered and controlled Scotland of the past to a society more disputatious, fragmented and interesting. There can be no going back to a safe, closed Scotland, even if some our elites and even progressive opinion, pine for it, compared to these unsettled times. The Scotland of the future is up to us collectively: a public becoming active agents in the making of their own history and nation. It is daunting in many respects, but one filled with promise and potential no previous Scottish generation has ever had. That requires more than ever that we embrace a very different radical politics to what we have seen before – one that embodies the spirit of our times: adaptive, open, constantly evolving and connecting actions and words, big picture and detail. 5. Gerry Hassan, Independence of the Scottish Mind: Elite Narratives, Public Space and the Making of a Modern Nation, Palgrave Macmillan 2014. 6. Michael Hechter, Internal Colonialism: The Celtic Fringe in British National Development 1536-1966, Routledge and Kegan Paul 1975. 7. Colin Rallings and Michael Thrasher, British Electoral Facts 1832-2012, Biteback 2012.